Woohooo!!! Love Inspired, my publisher and the inspirational imprint of Harlequin, is hosting a reader appreciation event on January 30th in Tampa, Florida at the Crowne plaza. There will be a ton of your favorite authors there (and lucky me, I get to go too!). 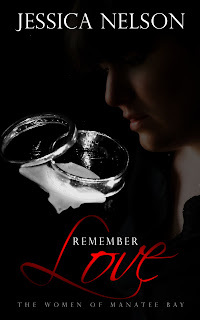 Also, my e-book Remember Love is FREE right now at Amazon and Kobo. Do you like free books? I do!! I hope all of you have a lovely end to 2013 and may 2014 hold wonderful things in store for you! How is your Christmas season going? What do you have left to do? Thank you to Dylan Newton who shared the query that landed me my first contract for Love On The Range on her blog today! Dylan is a great person who writes wonderful paranormal romances! In fact, I'm looking forward to reading her next book when it releases! You can check out Dylan's books on Amazon or at her website. Have you written a query yet? How did it fare? Fictional Heroes who made me say, "Mmmmmm!" The character of Rick O'Connell captured my imagination as a teen and made me want to be a librarian, just so I could daydream about some daring, funny adventurer falling in love with me. Damon is one of those characters in need of redemption, but the first thing I loved about him was his loyalty to the woman he loved. It was unshakable. That warms this woman's heart! Which heroes (in tv or in books) grabbed your attention? What was it about them that made you never forget them? I self-published (or, to use a more palatable term, independent published) one of my Christian contemporary romances. There is a ton of advice out there and lots of ways to do it, from formatting the manuscript yourself to hiring out that job. It's definitely been exciting and scary. Some authors who have already traveled this road are Virginia Carmichael and Julie Lessman and Heather Sunseri. Yes, that is a baby voice hiding in the parentheses. Curled up in a fetal position, sucking her thumb. That's because this independent publishing business is exciting but scary! It's also (gasp) hard. Today I am going to be uploading my manuscript to some different bookseller sites. I am so nervous because I have heard horror stories about badly formatted books, editing mistakes, etc. I've done research, tried to follow other's advice, but technology isn't my strong suit. And so I'm a quivering mass of nerves. There's also the fact that there's no publisher at my back saying, "Read this! We liked it and bought it." Instead, I am the publisher, pushing my manuscript out into the world as a book. There's a certain self-confidence (and I hope not arrogance)in publishing your own work. For those of you who don’t know me, I’m Candi Wall, one of the authors who co-contribute to the Musetracks blog. Jennifer Bray-Weber, Marie-Claude Bourque, and Stacey Purcell are my super smart co-contributors and goodness knows where I’d be without them! I've lost the will to blog. I am not saying good-bye forever. I'm only saying good-bye to regularly scheduled posts. With FB, twitter and all the other social networking sites so active, I feel like if I put up a post it doesn't necessarily need to be on a schedule. In the meantime, there are lots of other things crowding the plate and so it's time for this wonderful blog to slow down in its old age. Later this month I'll be putting up a post about a good writing opportunity. I'm curious. What is your favorite online social venue? Cheryl Linn Martin's newest book just released! 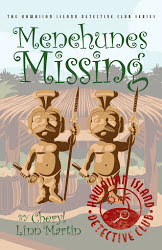 Menehunes Missing is another action-packed mystery for the younger reader featuring the kids of the Hawaiian Island Detective club, Leilani, Maile and Sam. And sometimes Leilani's pesky little brother, Kimo. If you have middle schoolers who love to read, I highly recommend this series! Cheryl also has a very cool website, kid-friendly with great Hawaiian factoids and games. Do you buy your children books? As a kid, what was your favorite genre for reading? Any guess as to what a Menehune is? After some internal conflicts of my own, I came to a great realization. "Should" and "Want" can be two different things...and boy, can they fight!! Is your story lacking conflict? Does it feel lukewarm? Do your characters seem a little too happy to be interesting? Take a look at what your protagonist wants (goal). Now, take a look at what the protagonist SHOULD want. If you can make what the protagonist SHOULD DO come into conflict with what the protagonist WANTS TO DO, then you'll have immediate tension in your story. Have you ever experienced this in your life? Did you choose to go with principle or emotion? What about your main character? Beware of fire...it can burn. 1. Love Inspired Historical bought a second book from me!!! I'm SO excited but I also have some revisions to do for the story. 2. I have two articles to write. Articles make me feel like I might suffocate. I don't know why but I just work through it, even if I turn blue. 3. I'm working hard on my WIP. Loving it but am sweating trying to get in 1k a day. 4. Before the end of 2013 I'll be indie/self-publishing a contemporary romance. Trying to get the cover, editing, etc. done has added some poundage to my plate. 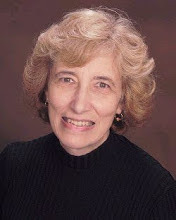 Today is an interview with my critique partner, Linda Glaz, who is also a wonderful writer, amazing literary agent and one of the best people you'll ever meet. :-) I'm so excited that her debut novel just released from Heartsong presents! I decided to do an interview with her hero, who is a charming yet wounded kind of guy. Barbara Richardson is living a charmed life. Perfect family, beautiful voice, wealthy fiancé. But when she realizes her soon-to-be husband only values her for her pretty face, her life is suddenly in turmoil. Then a handsome young man comes to her rescue when she's stranded in a storm on Christmas Eve. And the world suddenly seems full of possibilities…. 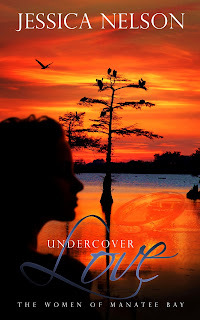 I am so very excited to have Susan J. Reinhardt at my blog today. She and I have been blogging buddies for several years and she is a true inspiration. Not only for her caring heart, but for her tenacity. She has quite the writing story and now her book, The Moses Conspiracy, has been contracted and is available! I can't wait to read it. The cover is amazing and I know the story is going to rock!! 1. How long have you been writing fiction with the intent of publication? It has come to my attention that if I ever want to get any writing done, I need to do it in the morning. Before laundry, vaccuming, dusting...before everything, or I just won't do it. My goal this year is to complete one rough draft and one submissible book. Needless to say, my house is looking less than pristine. What are your goals this year? Have you had to reavaluate how you're prioritizing? Yes, the horror master is actually...pretty amazing! Ever since I read King's memoir On Writing I've been fascinated and have wanted to read one of his books, one that wouldn't freak me out though. A trusted acquaintance recommended King's fantasy series The Dark Tower and I've been sucked in. I'm on the third book and am loving the characters, the dialogue, the big words, the awesome premise. The main character, Roland the Gunslinger, has quite a character arc that translates into A Very Big Question. This is posed in the first book and it's a thread that is seemingly going to run through the entire series. Is the sacrifice of one (or a few) good/right/justified by the saving of the world? her for as long as she can remember continues to haunt her. care how he makes a buck as long as he makes lots of them. The night Beth arrives, a man is murdered at the airport. 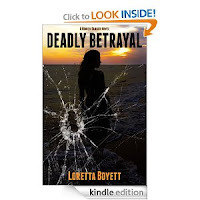 into danger, deceit, and deadly betrayal. No, actually, it happened in the school library. The Chair of her school's organization was sitting with her notes, trying to listen and maybe even look somewhat professional, but her mind kept wandering. Suddenly she heard a voice (the voice of the principal, by the way). "Mrs. Nelson, could you read this next part for us?" Yes, my blogger friends, Writer Brain has struck me many, many times. I had to admit to daydreaming that afternoon, not once, but TWICE, because I had no clue where we were. There's a reason I'm not in corporate. Ha! 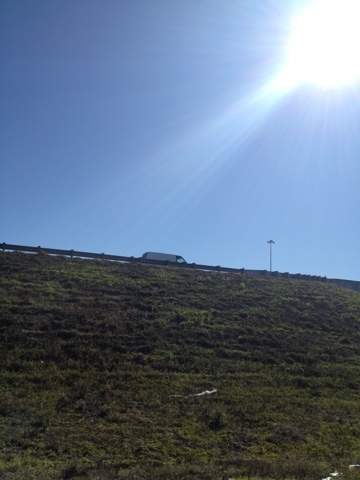 It is a gorgeous Florida day. All sun and winter nip. I'm traveling today and admiring the beauty around me. How is your weather? Can you find beauty in it? What settings do you love to read about in books? I used to love blogging but lately...it feels like the blogosphere is changing. I'm definitely not ready to give up my blog but I might be doing a once a month thing instead. Like a newsletter almost, but in the form of a blog post? Not sure yet. In the meantime, I have a few awesome interviews coming up. Author Loretta Boyett has a book out and I'll be interviewing her soon about that. Paralegal Beth Thompson grew up in Ocala, Florida, the only child of doting parents. Although her childhood was a sheltered one, the terrifying nightmare that has dogged her for as long as she can remember continues to haunt her. We were driving in the car the other day and my oldest turns to me and says, "Mom, do you think there's a portal for Heaven and a portal for hell?" I was taken aback but definitely amused. I smiled and said, "Sure, why not?" From there conversation turned to wormholes, portals, time travel and all other cool stuff. Basically along the lines of quantum physics. My son is not an all A student but he is a curious and bright little boy (seriously, I'm not at all biased *wink*). I can't wait to see what kind of job he decides to have as an adult and where his imagination takes him. Do you think about portals? What kind of cool and surprising things have you heard kids say?